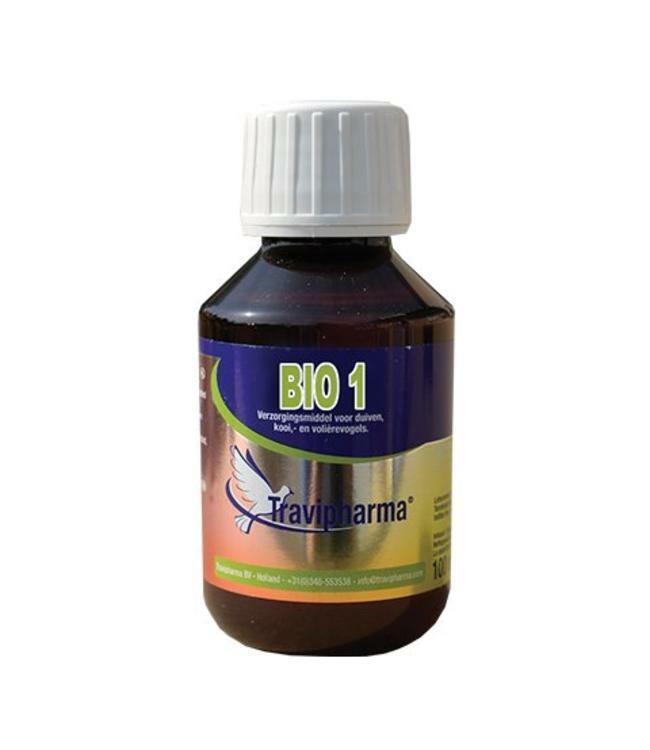 Bio 1 is a unique misture of herbs, which maintains a good oxygeneration, bloodcirculation and it gives the skin a more pink color It's indispensable for the construction of good skin tissue. Oral solution. Mixture of herbs which purifies the blood. Pigeons, cage, and aviary birds. For oral administration through the drinking water. Shake well before use. Dosage : 3 ml per 1 litre of drinking water or 1 drop per bird mixed with feed. During for at least 3 days. Can be given daily. Urticae folium, Taraxaci folium, Viola tricolor herba, Lamium album herba, Solidaginis herba and Sarsaparilla radix.